Not the busiest mail week but it wasn’t bad. 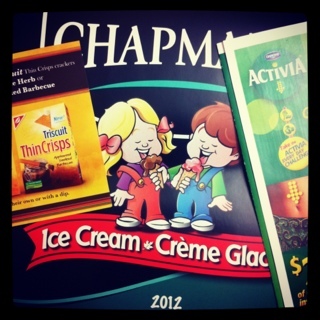 I do really enjoy the Chapman’s Ice Cream calendars and Activia yogurt. And a coupon for free Triscuits = SCORE! You can order your own 2012 Chapman’s calendar here. The Activia and Tricuit coupons are no longer available. This entry was posted in coupons, free product coupon, mail and tagged coupons, free product coupon, mail on January 23, 2012 by Courtnie.